← What does a good one look like? I finally ended my experiment with the Amazon Fire Phone this week. It took several months to get an iPhone 6+ with the high demand, but I traded in my Amazon Fire Phone for an Apple iPhone. 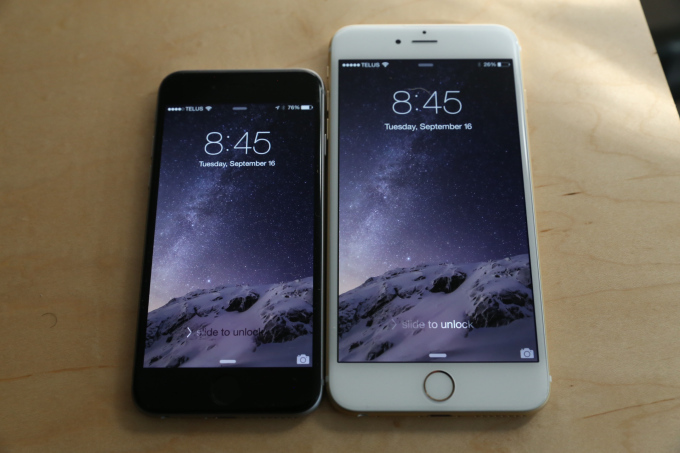 Thank you T-Mobile for making the switch from AT&T and the Fire Phone so painless and easy. It is soooo good to be back in the iPhone fold. I was quite excited about many of the features of the Fire Phone, particularly the dynamic perspective and the four head tracking cameras on the front of the phone. The timing of the announcement was synchronistic as I was just starting a new venture that is using the cameras on mobile phones to determine levels of learner engagement. With the addition of a full year of Amazon Prime and unlimited photo storage the Fire Phone price seemed quite reasonable. There were no apps on the closed Fire Phone system. There were a few like Twitter and Facebook and LinkedIN, but that was it. I had about 50 apps on my iPhone that I used daily. Because there were so few of us that bought the Fire Phone, the developers didn’t show up. And no Google anything (well, OK at least there was Gmail). I’ve become a big fan of the photos section of Google+ and there was no Google autobackup of my photo images and no good way to access my autoawesome capabilities and Google+ Stories. 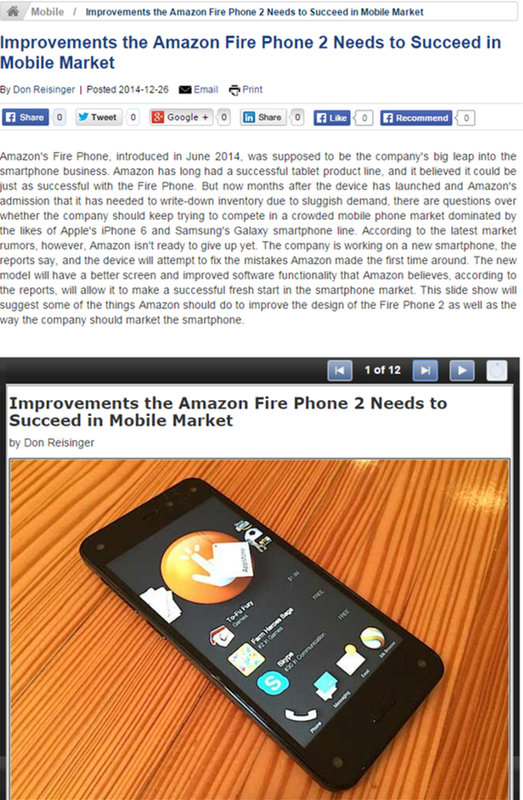 eWeek added fuel to the silliness of industry pundits when they published 10 things that Amazon needs to improve with the Fire Phone 2 to succeed in the market. Much to my wondering eyes did appear not a single recommendation to fix the apps problem. Are you kidding me? eWeek – It’s the apps stupid!!! The smart phone market has evolved to being an apps market with the hardware itself only one of many components. In a recent workshop I did for a client, I used a warm up exercise where I asked the participants to share what capabilities they think of with their smart phone. Most of the responses were related to an app, not to the hardware. 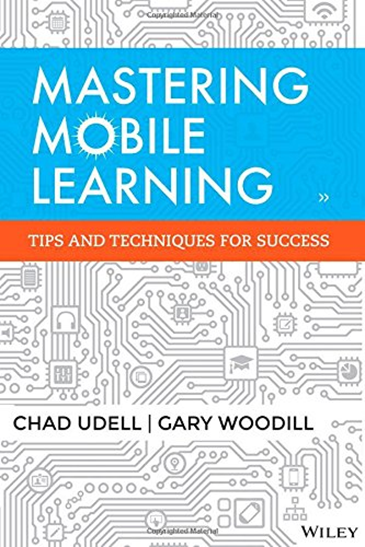 In Mastering Mobile Learning, Chad Udell shares how many different capabilities a smart phone has these days. Note that on the list, most of the capabilities are related to the hardware of the smart phone. 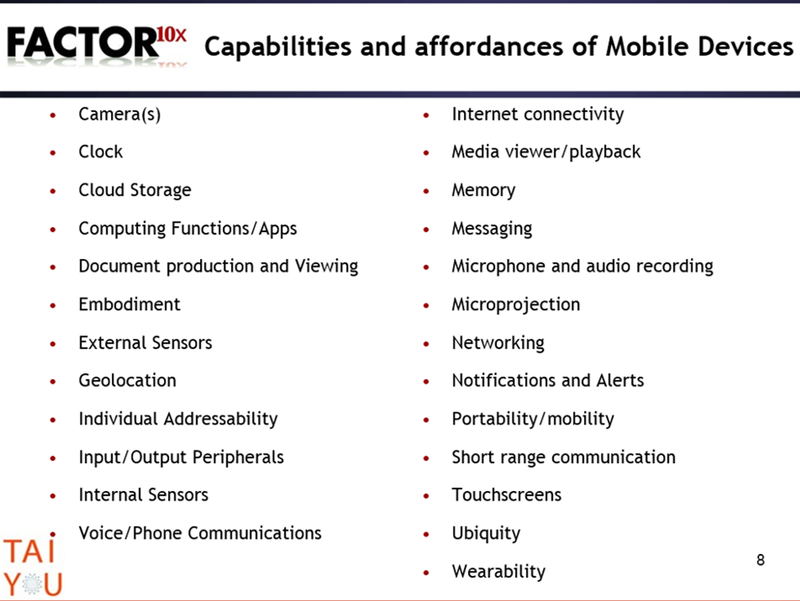 The apps related to the hardware capabilities are implied by this list, but not all that obvious. For me, many of these capabilities have 2-4 apps associated with them and then there are several apps which make use of multiple of the hardware capabilities together. Once again, my pocket book learned the painful lesson of being an early adopter and not waiting for the invisible hands of the market to sort out ALL of the needs of a user in a smart phone ecology. This entry was posted in Content with Context, Design, Flipped Perspective, Software Development. Bookmark the permalink. Skip — Glad to hear you’re back in the iPhone fold! Thought you might find this article (http://www.fastcompany.com/3039887/under-fire) profiling the development of the Fire interesting. It touches on more than just the Fire itself, but does make mention of the lack of apps being one of the reasons that it didn’t sell.